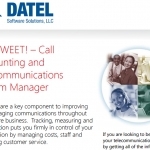 Datel Group - Call SWEET! Call SWEET! Call Accounting provides you with the information you need to make the best choices for optimizing your business. In-depth reporting on all incoming, outgoing and internal calls lets you see your telecommunications activity from every angle. Easily track details on individual extensions, departments or multiple sites, and make necessary changes to improve productivity and efficiency on all levels. Save time by having the reports you need automatically sent to your email daily, weekly, monthly or one time only. 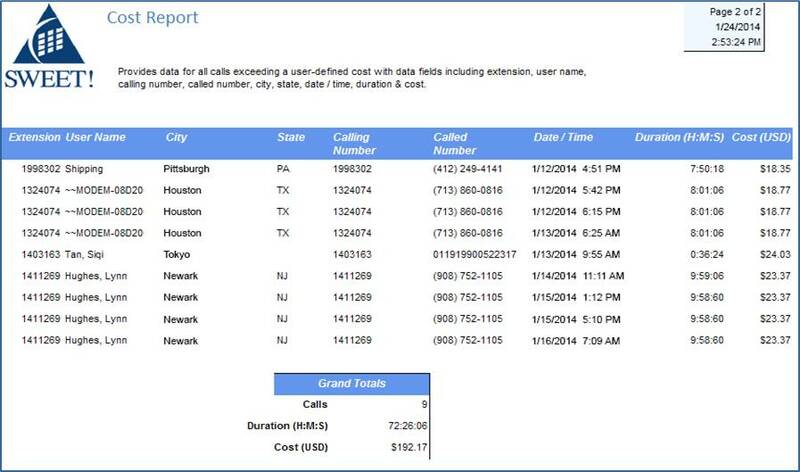 Make contact center analysis part of your routine with the added convenience of scheduled reports. Access Call SWEET! from the browser of your choice! Give remote workers and managers the ability to generate vital reports from their home office. 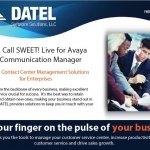 Instant reports are just a few clicks away with Call SWEET!. Export any report in PDF or excel format, or view from your favorite web browser. Use the drill-down capabilities to get details on specific calls and never miss out on an opportunity. See key metrics in easy-to-understand displays, so you understand exactly what is happening with your telecommunications. 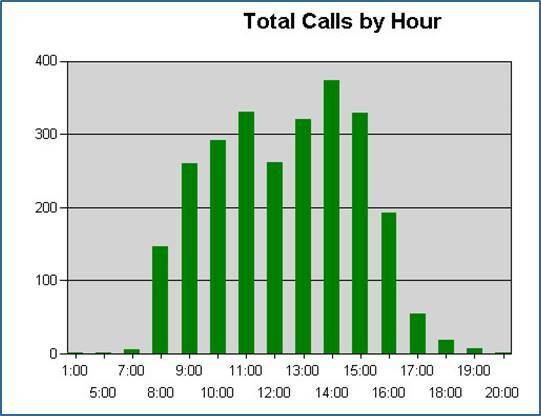 Use graphs and displays for simplified analysis and in all of your telecom presentations. Use account code reports to track all billable talk time. Get the details on every call that was made with that code during a given time frame to more accurately bill clients. Make your life easier by organizing client calls by account code. Faster reporting means you spend less time creating bills and more time developing new opportunities. Take the guesswork out of calculating billable telephone time for both incoming and outgoing calls with that customer, no matter who handled the call. Want to track calls to a certain number? Have Call SWEET! alert you to whenever that number is dialed to track important calls. Concerned about long handle times? Receive an email from Call SWEET! whenever an agent’s call exceeds their user-defined duration. Long-distance and international calls can quickly add up, so it’s crucial to track those costs! Get an email whenever you have a call exceeding the pre-determined cost, and know how often your employees are making expensive long-distance calls. Select only the fields you want to see and then zoom in on the exact details you want with filters. Simply export the data into excel to review later. Have you ever ended a call without getting the customer’s phone number? 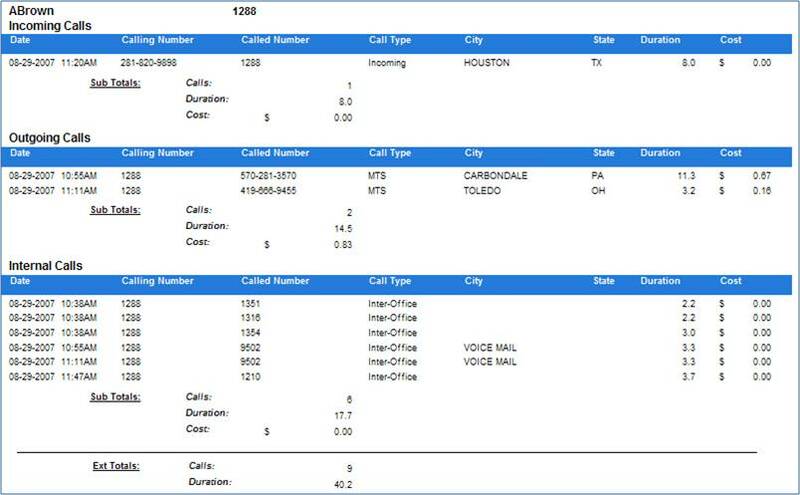 Use the Call Data Viewer to historically retrieve this information and never miss an opportunity again. Do you ever just want to know specific information about a call? Use the Call Data Viewer to quickly filter through and sort your raw call data to quickly find the details you’re looking for. Adapt Call SWEET! to fit your business with an unlimited number of security roles. Easily move users from one role to another as they change positions in the office. Limit the reporting capabilities of users based on their security level. Keep confidential information in the right hands by assigning security roles! Use metrics to evaluate employee performance without distracting them. Keep your employees focused on their own work by limiting what information they can view. Discover who is making more long-distance calls, and use this information to create more accurate telecom budgets. Are your telecom charges not adding up? Reconcile bills from long distance and local exchange carriers to ensure that your bills are correct. Call SWEET! provides pricing based on your location, so different office locations will have different rates to give you the most accurate pricing information. Simplify your telecom billing by removing the guesswork. Include Resident-Tenant Billing to create your own calling plans and easily generate bills to send to your customers.